Nintendo revealed their Poké plans earlier today with a trio of announcements involving the long running series. Pokémon Quest is available on the Nintendo Switch from today, and features a fresh style for the series with a cube aesthetic. The game is “free-to-start” which doesn’t sound promising for those who were disappointed by the Animal Crossing: Pocket Camp mobile game and its microtransactions. The next juicy Pokémon title has two versions, Pokémon: Let’s Go, Pikachu! and Pokémon: Let’s Go: Eevee!. Nintendo has said it is based on Pokémon Yellow and is set in the Kanto region, but with some Pokémon GO elements included. 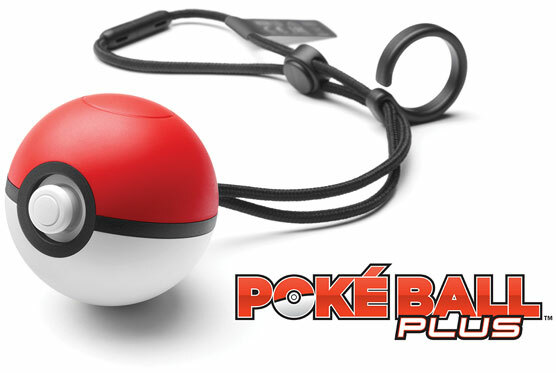 The game will feature co-op and interactivity with Pokémon GO, as well as its own new controller, which takes the form of a Pokéball. Pokémon: Let’s Go, Pikachu! and Pokémon: Let’s Go: Eevee! are due for release on Nintendo Switch on November 16. On top of all this an as of yet untitled “core” Pokémon RPG is in development, and is due out in the second half of 2019. What a day for Pokémon fans! Cacth Charlie on Twitter @clbraith, and don’t forget to follow @load_screen and like us on Facebook.